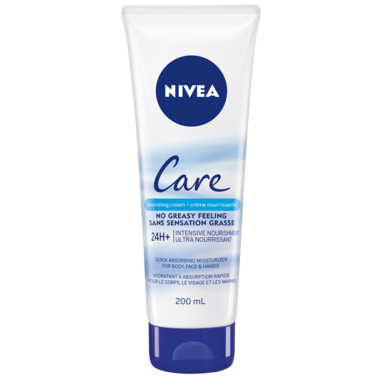 Give your skin the intensive nourishment it needs without leaving any greasy feeling with new NIVEA Care, an effective yet fast-absorbing moisturize. Thanks to our new revolutionary hydrating complex, it melts into the skin leaving your skin well-hydrated and touchably soft. Its our best formula yet to get deep nourishment without the hassle of a greasy feel.